Of course, these new lanes were supposed to be open in January, but the project is running late. 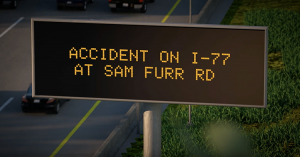 The toll signs above I-77 Express will also be tested. The toll signs will display numbers to conduct this testing. Drivers may also see test-related vehicles in I-77 Express as this testing is occurring. Each entrance onto I-77 Express will continue to be closed and blocked as the lanes are not in service during this testing period. The toll lanes run adjacent to the existing general purpose lanes. 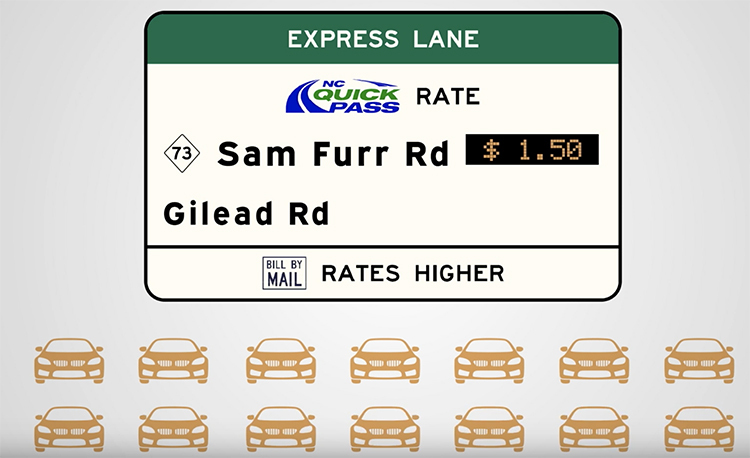 The number of general purpose lanes will remain the same, and drivers will eventually have the choice of using the express lanes to avoid travel delays, the general purpose lanes or a combination of both. I-77 Express will open in sections, with the northern portion between Hambright Road in Huntersville and Exit 36 in Mooresville slated to open soon. When the northern section of the project opens, customers will receive a 25 percent promotional rate off tolls until the entire roadway opens later this year. To receive traffic advisory information and the latest information on the project, go to www.i77express.com. How do we buy passes?